When someone mentions poaching, illegal wildlife trafficking, and endangered species, you probably picture animals like rhinos and elephants. These iconic species are being driven to the edge of extinction simply because their horns/tusks are good for carving or for making magic potions that don’t actually cure anybody from anything. While the whole world is rightly up in arms about this, there are other lesser-known species facing the same horrible fate. The only difference is that they do so in silence. You’ve heard of tortoiseshell, right? It’s that beautiful transparent spotty material that’s been used for ages to make decorative items from hair combs to bracelets. But do you know what tortoise shell is actually made from? It doesn’t come from a tortoise at all. In fact, it is made from the shell of the critically endangered Hawksbill Sea Turtle. There are only 20,000 breeding females left worldwide. 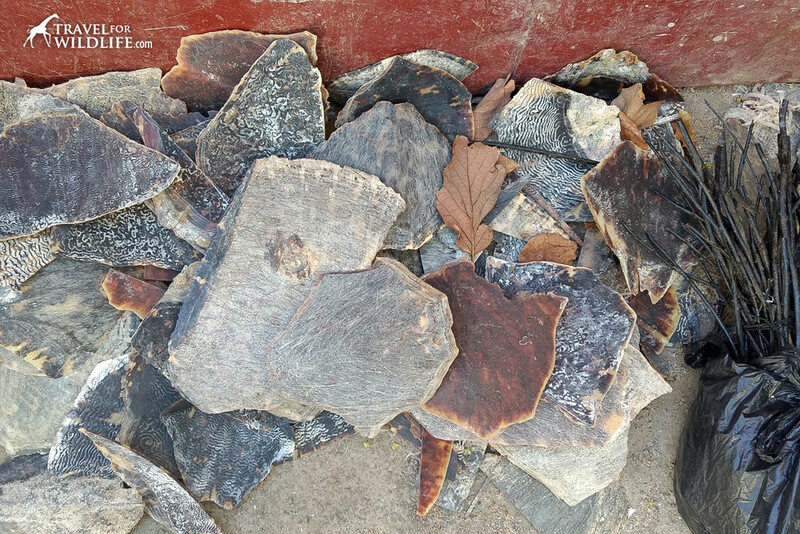 The commercial trade of sea turtle products was banned internationally in the 1990’s, yet the illegal trade continues unabated. 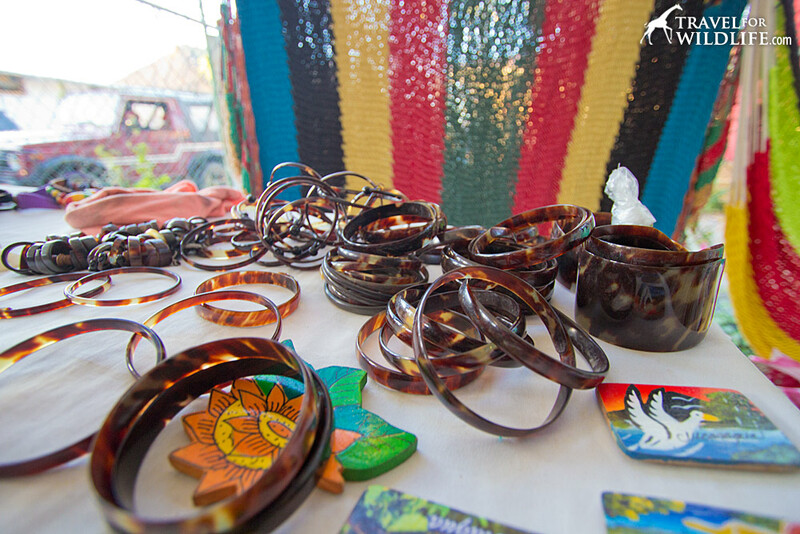 While tortoiseshell items found in the United States are now made from plastics, hawksbill sea turtle shell is still used to make jewelry and souvenirs throughout much of Central America, the Caribbean, and Asia. 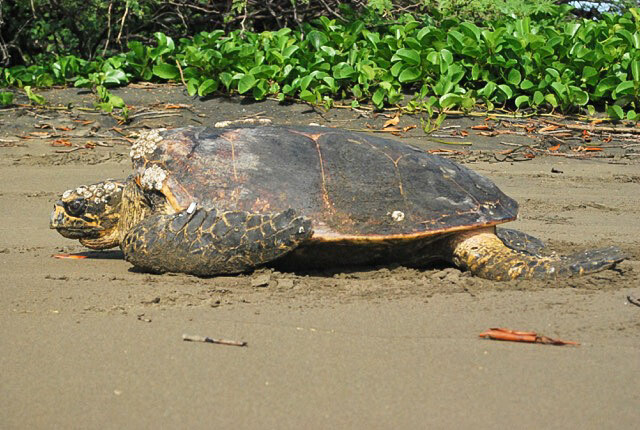 Hawksbill sea turtles need our help. When SEE Turtles asked if we wanted to take part in their Too Rare To Wear campaign and to help highlight the plight of the hawksbill sea turtle, we knew we had to accept. This is how we found ourselves traveling to Nicaragua. 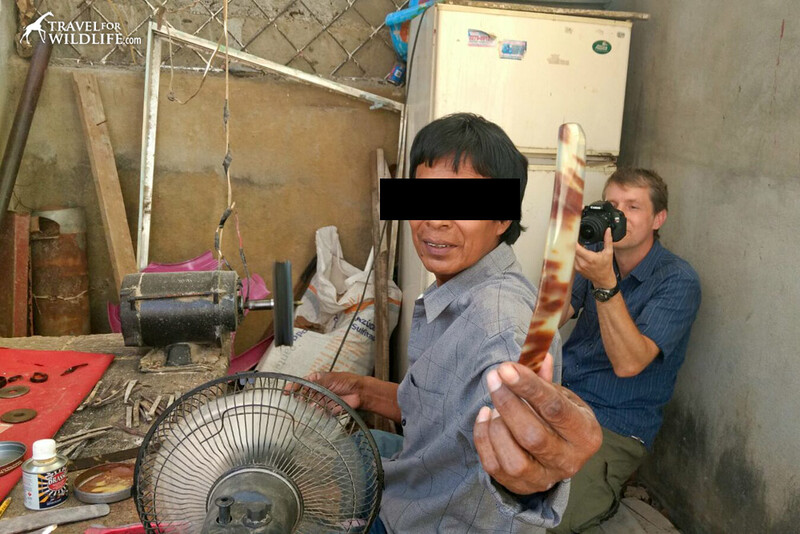 Our assignment was to visit the markets in several prominent tourist towns and attempt to document the extent of this illegal trade. 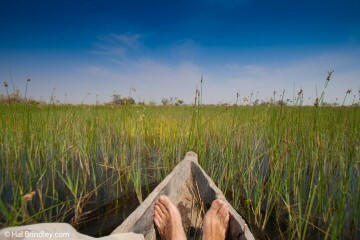 We had only been in the country ten minutes when we had our first shock. Shops right in the Managua international airport were openly selling illegal sea turtle shell souvenirs, including bracelets, rings, and necklaces. There they were, in the first stand we entered, hanging in plain sight. If police turned a blind eye to the sale of illegal wildlife products right here in the international airport, then we knew the problem was more rampant than we had even imagined. Still, nothing prepared us for what we would experience in the next few days. 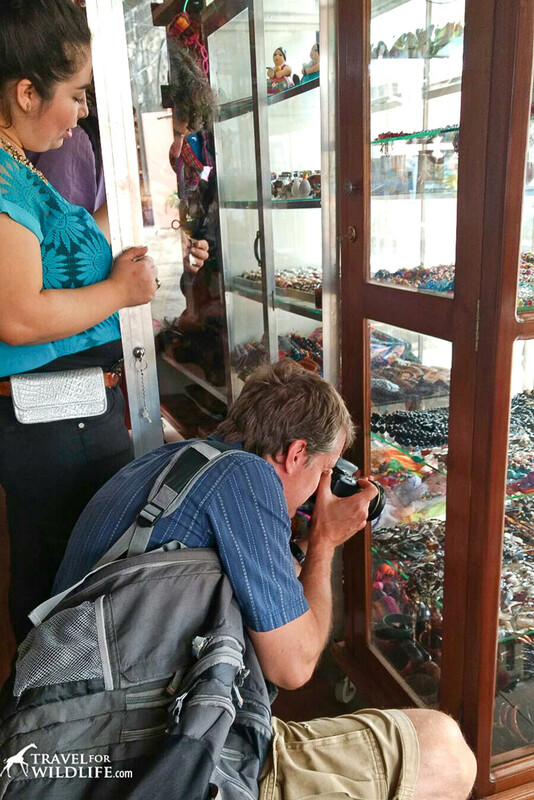 We visited dozens of shops in San Juan del Sur, Granada, Masaya, and Mirador Catarina. 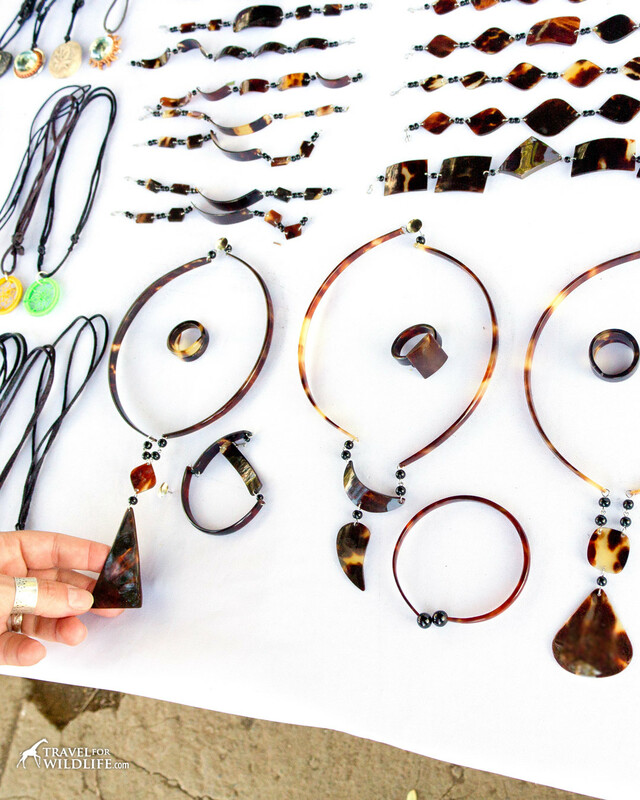 Nearly every single stand that was selling jewelry had products made from endangered hawksbill sea turtle. Some of them had mountains of it, some of them just a few trinkets. By the end of our last day visiting these markets we were overwhelmed with a feeling of helplessness. This piece of jewelry is old, it was made before the ban took place. It’s only illegal in the US. The sea turtles were already dead, they were not hunted. Their bodies wash up onto the beach. Only one shop owner told us that they didn’t sell turtle shell because it was illegal. Just one. All of them know it is illegal yet they don’t care because there is virtually no enforcement of the law. As long as tourists keep buying the jewelry, there will always be a market, and hawksbills will continue to be hunted to supply the demand. Therefore it is up to us to end the demand. It is up to us as travelers to say NO to turtle shell products and buy something else. 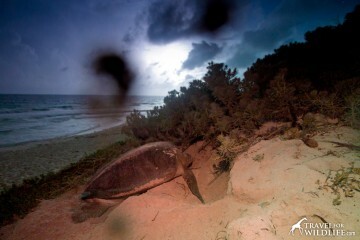 Only then will the killing of hawksbill sea turtles end. 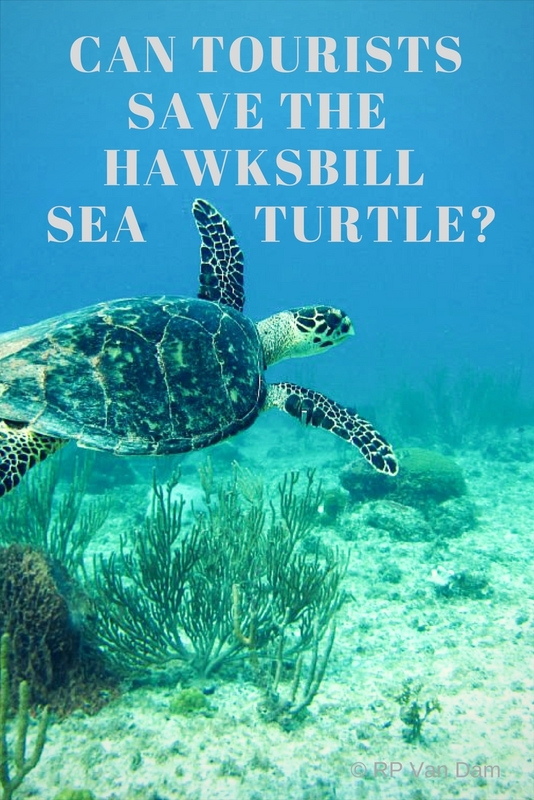 We were told that locals don’t like the meat of the hawksbill (green sea turtle is their preferred choice) but because the shell can be sold to make souvenirs, hawksbills are being hunted anyway. And the process is not pretty. Once a sea turtle is captured in a fishing net, it is hauled into the boat and turned upside down so it cannot escape. Once the fishermen return to port, the turtles are dragged to shore and left alive and upside down, sometimes for days until a buyer is found. Then they are butchered. The meat is sold in food markets, while the scales on the hawksbill shells are pried off and sold to artisans to make jewelry. It doesn’t have to be this way. There are other beautiful materials artisans can use instead such as cow horn (a byproduct from the meat industry), wood, and coconut shell. On our last day in Nicaragua we had the rare and somewhat frightening opportunity to visit a local artisan to see how he worked turtle shell. These artisans are very secretive (naturally), and it is very difficult to track one down in the first place, let alone to be permitted to visit their home and see how they work. Our local connection on the ground, an accomplished sea turtle conservationist in Nicaragua, had told them we were shooting a documentary about traditional artisans across Central America. First we visited his stand on a busy street outside of Managua, not far from his home. He had some of the most beautiful jewelry we had seen, and lots of it. At the stand, his brother told us how to get to the house. It all sounded a bit sketchy and we were pretty nervous as we attempted to follow the obscure directions into a poor and crowded neighborhood. Would somebody pull a gun on us and take our gear? Would we be beaten and tossed into the street? I was sweating profusely as we parked our tiny car on a tiny dirt road in front of the house with the red door. A young man appeared from behind a rusty metal gate while a large dog eyed us warily from inside the yard. Our fears soon dissipated as the artisan (I am going to call him Juan for anonymity), came outside to welcome us with the warmest smile and the friendliest handshake. His 25-year-old son (let’s call him Pablo), was just as warm and welcoming as his father. They showed us around their humble home, a few barren concrete rooms with packed dirt floors, and in one corner of the patio overlooking the street was a rustic work bench crowded with the simple tools of their trade. On the ground near the table lay a heaping pile of hawksbill scutes (the large scales that cover a sea turtle’s shell) next to a bag full of black coral (used as an ornament on the sea turtle jewelry). Juan grabbed a scale from the pile and without fanfare proceeded to make a bracelet. He sawed it into a long rectangle and polished the scuffed piece of shell into a beautiful shining translucent piece in less than 5 minutes. He shaped it by submerging it in a pot of boiling water, then wrapping it around a small can. (Turtle shell is a natural thermo-plastic.) Then he made a pair of earrings, and another bracelet, all the while talking to us contentedly about his trade. He had been making this type of jewelry for more than 25 years, and his son had been helping since he was only 13 years old. They were both masters and proud of their work. We were a confusing bundle of emotions. Our fear had given way to admiration, but was immediately tempered by feelings of despair as we stared at the pile of shell and imagined the dozens of endangered animals that had been killed to support this single batch of jewelry. We knew that this very day they were producing a large order to ship to markets in nearby Costa Rica. Yet we found ourselves really liking them. Even the dog was all snuggles and hugs. “Wrap these,” Juan said to Pablo as he handed him the newly-made bracelet, a pair of earrings, a ring, a necklace, and another bracelet. Juan handed me the paper bundle with a humble smile. Guilt burned upon my face. These people were so warm, generous, and genuinely kind, I felt so bad that I was there undercover with the only goal of ending this trade. I knew I couldn’t take it home but I accepted the generous gift and we went on our way. We left the bundle at the Fauna and Flora International offices where they would be able to use the jewelry as part of their sea turtle conservation education. These were not evil people out to destroy a species on the edge of extinction. They were kind gentle people who seemed to be barely getting by. 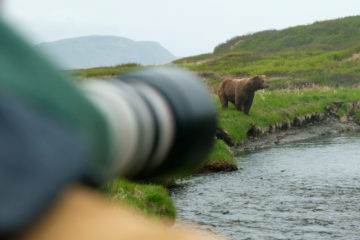 We had no desire to destroy these people’s livelihoods, we wanted to help them shift their focus to a craft that didn’t contribute to the end of a species. They were already very accomplished coconut carvers. 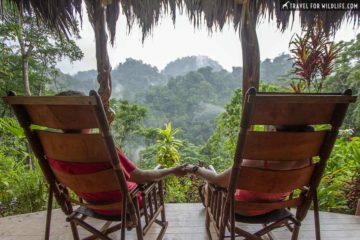 If we as travelers choose to support alternate products made from coconut, horn, or wood, we can eliminate the problem without hurting anyone along the way. Tell artisans and vendors why you are not buying sea turtle products. They need to know it is not sustainable and no longer acceptable. It is not worth losing a beautiful species over a piece of jewelry. 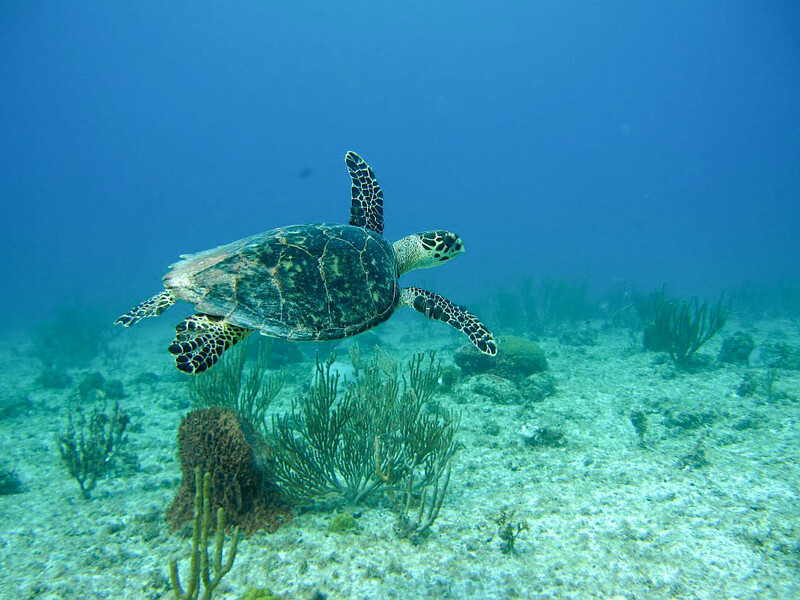 To learn how to identify hawksbill sea turtle products, visit Too Rare To Wear and take a look at their guide on how to recognize turtle shell. My stomach was churning and I was almost in tears reading this, thinking about all of the Hawksbill Sea Turtles killed to make the piles of shells in your photos. I had no idea that this was happening or such a prominent trade in Nicaragua. I’ve visited there a few times and now I’m wondering how many times I’ve looked at this jewelry and had no idea what it was. I know I’ll definitely be much more aware the next time I go. 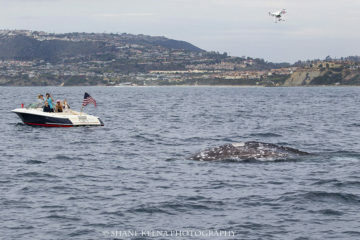 Thank you for doing this and spreading the word! Wow, I had no idea this went on! 🙁 So, so sad. I hope the people there realise there are sustainable ways to continue their trade before it’s too late.